Apple Stem Cells, cultivated from the rare Uttwiler Spätlauber apple have been found to have restorative and nourishing properties for the hair, as well as a stimulating affect the follicle. Contains: Apple Stem Cells, Muru-Muru, Cupuaçu and Carite butters. Rinse hair with water only. 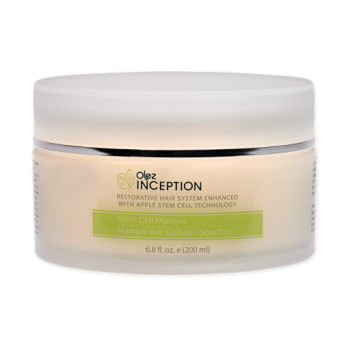 Apply Inception Stem Cell Masque, massaging thoroughly into the scalp and through hair. Allow the masque to remain for 20 minutes and rinse hair. Blow dry hair.